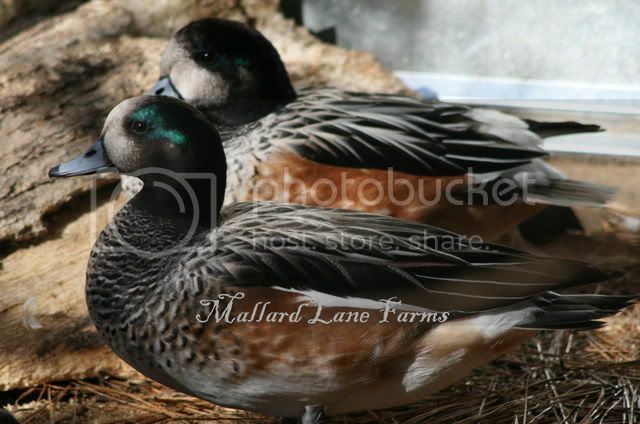 The Chiloe Widgeon is a native of South America. The sexes look similiar, with the females being slightly duller in color than the male. Males are normally larger than the hens. Wigeons are grazers and will love an enclosue with lots of grass. 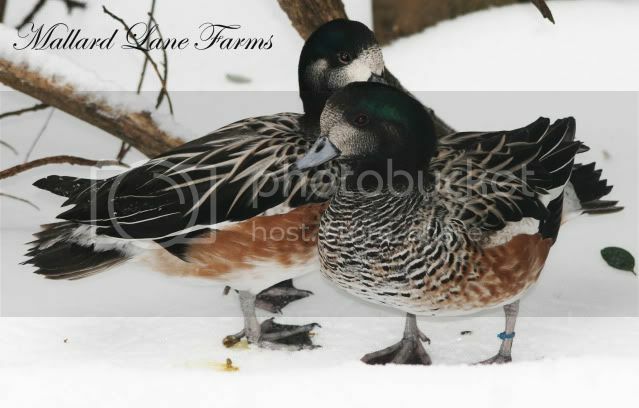 This is a fairly calm species and they get along well with other waterfowl, making them suitable for mixed collections. They would prefer a warm climate, however many are kept in northern collections with little trouble. Breeding season is in Spring and begins in April in my region. My Chiloe will often trio and I commonly keep two hens for each drake. Nest are built on the ground, my birds will readlily use nest boxes. Clutches consist of 8-10 eggs that are incubated for about 25 days. The ducklings have no special needs and are easy to raise.